Ages 12 & up..........5:30-7:00 p.m.
**Must attend all four days of the audition process. ***Will be required to take at least one summer session. Specific team placement (Demi, Corps, Prima) will be determined by the end of the summer. C O M E B E A P A R T O F T H I S A W A R D W I N N I N G T E A M ! A perfect camp for girls ages 4-7 to find their inner princess with the help of familiar friends like Elsa, Ariel, Belle, Cinderella and many more! 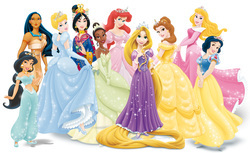 Your daughter is encouraged to show off her favorite princess attire. The camp will include learning proper dance techniques as well as allowing her to express her artistic side through arts and crafts (*included in camp fee)! There will be a final princess performance starting at 10:45 a.m. on June 27th. All parents and grandparents are welcome! *Must take one summer session for competition team membership. Ages 12 & up 5:00-7:00 P.M.
You won't want to miss this workshop! *MUST HAVE MINIMUM OF 5 PEOPLE FOR WORKSHOP TO TAKE PLACE.